To celebrate K25 Kylie has been working with Thames & Hudson on a book that showcases her 25 year career through fashion. The book will be packed with iconic images as well as the very best rare and unseen archival photography, video outtakes, fashion sketches, designs and ephemera. "This book charts my relationship with some of the most talented people in fashion throughout my career. It makes me very proud to see gathered together all the great designers and houses I’ve worked with over the years. Looking through my personal archives has been a real trip down memory lane and it is the fashion that brings back moments and memories of the last twenty-five years. I can’t wait to share this book with the world." Published as part of the K25 celebrations this year, Kylie / Fashion is the official book celebrating twenty-five years since Kylie burst onto the music scene with The Locomotion and I Should Be So Lucky. From the very beginning, the fashion she has worn has been key to Kylie's persona and performances: her status as style icon is unassailable. This dazzling book celebrates her numerous and ground-breaking collaborations with the world's great fashion designers. 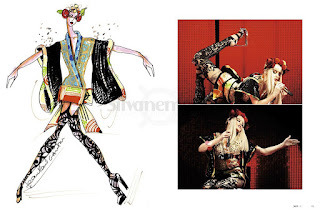 Produced by Kylie in close collaboration with Thames & Hudson, and drawing on her personal archives, it showcases Kylie at all her key fashion moments, whether as geisha/manga super-heroine in her 'Impossible Princess' era, ingénue in gold hot pants for 'Light Years', or Grecian winged messenger for 'Aphrodite'. 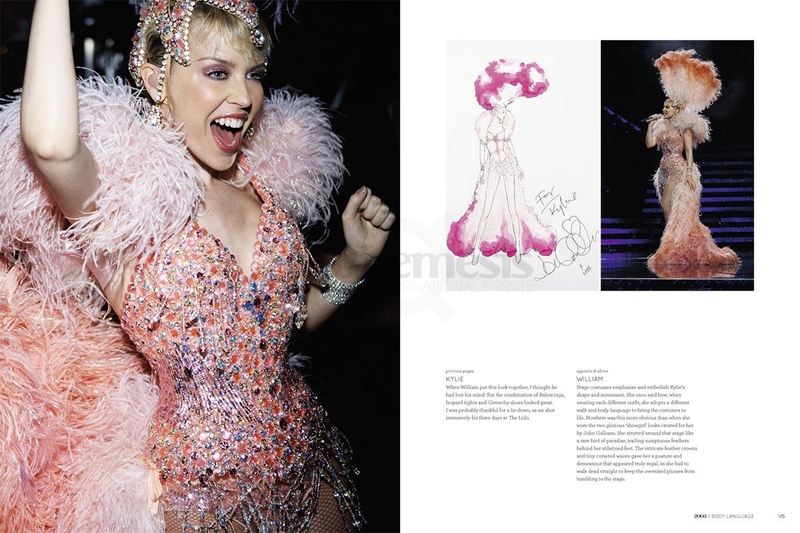 Curated by William Baker, Kylie's acclaimed creative director, and introduced by Jean Paul Gaultier, the book features specially written texts by the most important designers and stylists Kylie has worked with throughout her career. Also featuring additional commentary and the afterword written by Kylie herself. Packed with iconic images as well as the very best rare and unseen archival photography, video outtakes, fashion sketches, designs and ephemera, it will be a collectors' item for fans and fashionistas the world over.